Ion Harvesting Technology – the process of utilizing patented carbon nanomaterial to harvest the electric charge of naturally occurring ions in the atmosphere offers a way to produce clean supplemental high voltage electricity anywhere on Earth – day and night. Experiments demonstrate that high voltage electricity harvested from airborne ions can power lights, motors or produce hydrogen & oxygen gas via water electrolysis or place a charge on lithium-iron (LiFePO4) batteries and be converted to 120VAC/60hZ ‘house style’ current. Galactic Cosmic Rays (GCRs) arriving from deep space bombard the Earth’s atmosphere around-the-clock creating trillions of naturally occurring electrically charged ions throughout the atmosphere. Ion Power Group utilizes patented carbon nanomaterials to couple to some of these electrically charged airborne ions resulting in the harvesting of clean renewable high voltage electricity day and night. 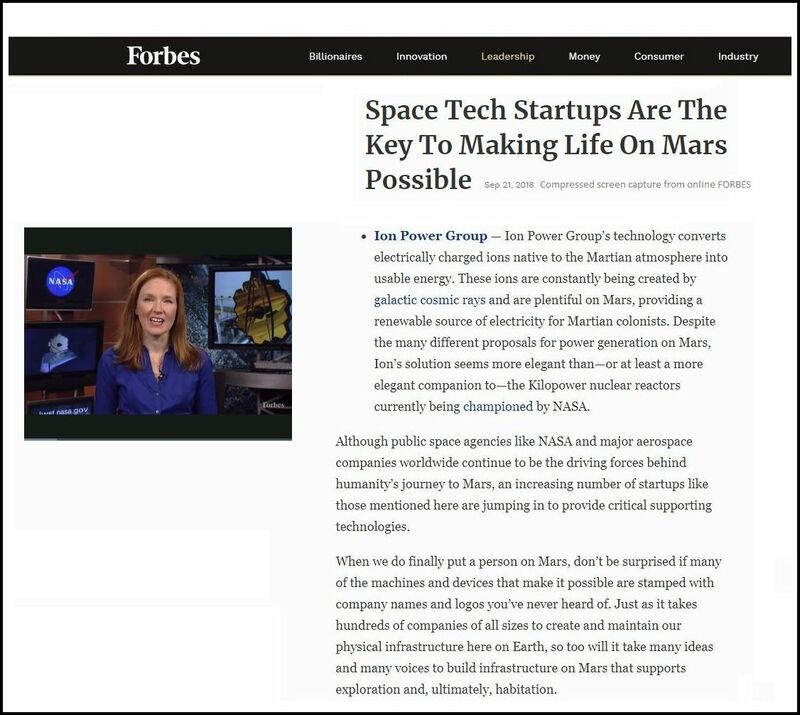 Galactic Cosmic Rays arriving from deep space impact electrically neutral oxygen and nitrogen atoms in the Earth’s atmosphere producing a particle shower (or particle cascade) creating electrically charged ions in the atmosphere day and night. Very high-energy cosmic rays can generate huge showers of up to 10 billion secondary particles or more. The energies of the most energetic ultra-high-energy cosmic rays (UHECRs) have been observed to approach 3 × 1020 eV, about 40 million times the energy of particles accelerated by the Large Hadron Collider. Each of the trillions of atmospheric ions generated throughout the Earth’s atmosphere act as a charge carrier conveying a high voltage electric charge. The production of atmospheric ions is a natural process that occurs day and night across the entire Earth. Watch the below video clip to see visual proof of cosmic rays bombarding the Earth’s atmosphere – particularly the beginning and near the end of the clip. Electrically charged ions are present in the Earth’s atmosphere day and night all around the world. Galactic Cosmic Rays arriving from deep space (which are actually microscopic particles traveling at relativistic speed) plus constant atmospheric electrical activity (thunderstorms) around the planet, plus Radon gas seeping from the Earth’s crust in certain geographic areas combine to replenish the supply of atmospheric ions. Atmospheric ions are a natural self-renewing energy resource that cannot be depleted. In addition to constant GCR activity, at any moment about 2,000 thunderstorms are occurring around the Earth. On average, across the world there are 4,320,000 lightning discharges each 24 hour period (3000 per minute). This tremendous amount of high voltage electrical energy, together with GCRs bombarding the atmosphere and Radon gas seeping from the Earth’s crust in certain areas, combine to actively replenish the supply of electrically charged atmospheric ions around the world. Ion Power Group’s ion collectors, when provided with adequate altitude, can harvest the electric charge of near-Earth ions to produce clean renewable high-voltage electricity day and night and during storms. Ion Harvesting Technology should not be confused with other techniques that attempt to capture lightning bolts or harvest manmade radio frequency (RF) energy. Ion collectors can be composed of carbon/graphite/graphene, while not metallic, are electrically conductive, flexible and durable. Electric fields are known to coalesce at conductive points known as the “Corona Effect”. The solution of Poisson’s equation to determine electric field intensity around the collectors shows us that the highest electric fields will be around sharp points; the sharper the point, the greater the electric field. Ion collectors offer millions of microscopic electrically conductive points and protrusions which readily couple to the electric fields of near-Earth ions transferring high-voltage electricity from the atmospheric ions to the ion collectors. Ground based circuitry maintains the ion collector material at a voltage considerably lower than the surrounding atmospheric ions thereby employing the electrostatic attraction principle causing nearby ions to migrate to the ion collectors. High voltage wire connected to the ion collectors convey the harvested high voltage DC electricity to a storage medium or electrical load to produce work. Measurements have shown that ion collectors made of graphite are more efficient at harvesting electricity from airborne ions than all other tested metals. In some tests, by as much as 55x greater efficiency. Some of the tested metals include highly conductive silver, copper, and aluminum wire – aluminum spheres – copper and aluminum sheets. The below graphs show voltage and current coupling characteristics comparing metal in one test (indicated as red and green) to carbon/graphite (indicated as purple). Below is a picture of carbon, a key element in ion collectors, taken at the microscopic level by an electron microscope. Electricity is produced by providing sufficient altitude to the ultra lightweight ion collector through the use of long-duration aerial platforms including tethered balloon, kite or tower. Atmospheric voltage increases at the rate of approximately 90-150vdc per meter of altitude above ground level or sea level and many orders of magnitude greater during disturbed weather. Experiments have demonstrated that the electric charge of atmospheric ions can be harvested by ion collectors and stored in capacitor banks, super-capacitors, lithium-iron (LiFePO4) batteries, directed to a water electrolyzer to produce hydrogen and oxygen gas or converted to 120VAC/60hZ ‘house style’ output power. An equally important role of atmospheric ions is that ions cause the atmosphere to be electrically conductive allowing ion collectors to harvest more electricity during disturbed weather or increased altitude above ground level. The atmosphere’s electrical conductivity increases with altitude. For example, when a storm or active cloud formation is nearby, the harvested DC power can skyrocket many orders of magnitude by reason of the conductivity of the atmosphere. This is often referred to as a peak ion period or disturbed weather. Additionally, the Triboelectric Effect plays a role in how much electricity is harvested. Geographic areas with Radon gas can tend to have greater ionic airborne densities closer to the ground due to the gas leaking up from the Earth. To a degree not yet defined, man-made air pollution can also raise the level of airborne ion densities. Cities with polluted air may prove to enjoy an extra benefit from ion harvesting. Galactic Cosmic Rays (which are actually particles) travel at enormous speed through outer space and impact the Earth’s atmosphere. Many of the GCRs are attenuated by the atmosphere, but some are energetic enough to penetrate into the atmosphere where they can impact electrically neutral oxygen and nitrogen atoms with such intense kinetic energy that a particle cascade is produced that creates electrically imbalanced atoms (ions) all along a downward path allowing some of the ions to cascade nearer to the Earth’s surface. The imbalanced atoms (ions) created all along the particle cascade can extend down nearer to the Earth’s surface where ion collectors harvest the electrical field potential of the ions to receive and store usable high voltage DC electricity. Since the ions effectively cause the air to be electrically conductive, they create an electrical path for storms occurring in other locations of the globe to contribute to the Earth’s overall ambient atmospheric electrical voltage. 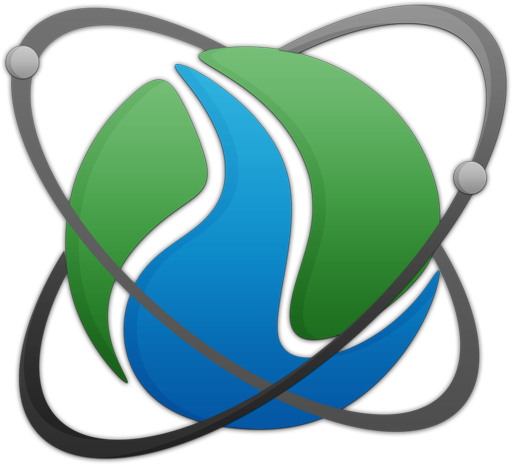 Ion Power Group’s remote test site (est. 2005) located on a 300 acre Florida pasture, uses tall poles (130 feet) to elevate ion collectors for research purposes. A wire conveys the harvested energy down to the remote research lab. The act of harvesting the electric charge from atmospheric ions harmlessly reverts the ions back to their original state of neutral atoms. The former ions, now neutral atoms, are once again free to migrate through the atmosphere – available to be converted back into electrically charged ions by natural processes. Ion harvesting results in the generation of clean, natural, renewable energy that will not pollute Earth. The peak electrical power generated in real-time by Ion Power Group’s proof-of-concept prototype during peak ion periods with the ion collectors at 130 feet above ground level is 1,236 watts (1.236kW). Derived from 41,200 volts @ 30.ma directly measured through a 1000x probe during peak ion periods. The above is one of several prototype configurations under development for converting high voltage electricity harvested from atmospheric ions down to lower voltages useful for placing charge on lithium-iron batteries, powering lights, motors, electronics, water electrolysis to produce hydrogen gas and oxygen gas and also 120vac/60Hz house-style power via an inverter. Hydrogen Gas produced from Water: Ion Power Group has demonstrated that it is possible to harvest atmospheric ions to generate electricity that can be utilized in electrolysis to produce hydrogen gas and oxygen gas from water (in proof-of-concept quantities so far). Hydrogen gas is used by next generation, non-polluting, hydrogen powered cars produced by worldwide automobile manufacturers including the world’s largest automaker – Toyota. Ion Power Group has been awarded a patent for a novel approach to producing hydrogen gas from water utilizing power obtained from ion harvesting. Ion Power Group has been awarded patents for installing ion collectors on automobiles to generate electricity including through the Triboelectric Effect. Preliminary field tests in which a truck, equipped with Ion Collectors, demonstrated that the concept can generate >500 volts when the vehicle is in motion. Initial tests are encouraging, however, further development is required in order to realize automobiles that generate their own supplemental electricity (or onboard hydrogen gas from water) through use of Ion Collectors. 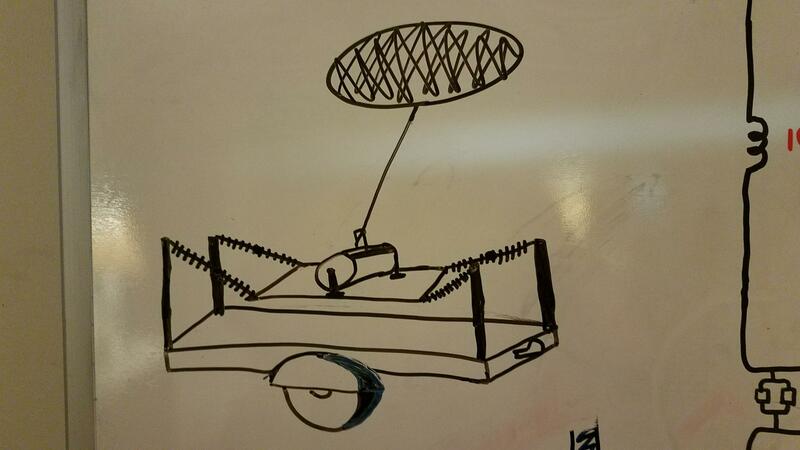 Illustrations (below) of proposed experimental ion power plants using long-duration aerostats (aerostats or balloons) or kites or towers to provide altitude to the ion collectors to harvest ions for electricity, day and night. 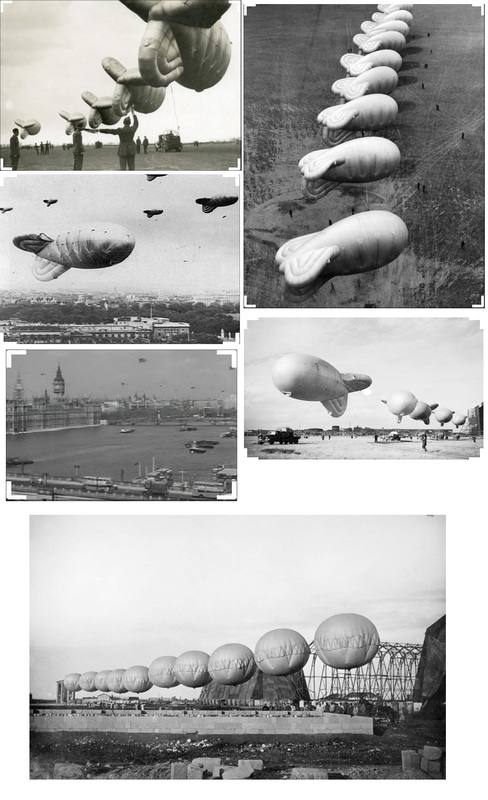 Future Ion Harvesting Technology embodiments that use long-duration aerostats (balloons) to provide great altitude to ion collectors offer a theoretical energy producing duty-cycle approaching 99%. Tethered aerostats covered with patented carbon/graphite nanofiber to harvest clean electricity day and night from atmospheric ions. The harvested electricity is conveyed down the conductive tether for use on the ground. Kites used to provide altitude to patented ‘strip’ carbon/graphite nanofiber to harvest clean electricity day and night from atmospheric ions. The harvested electricity is conveyed down the conductive tether for use on the ground. 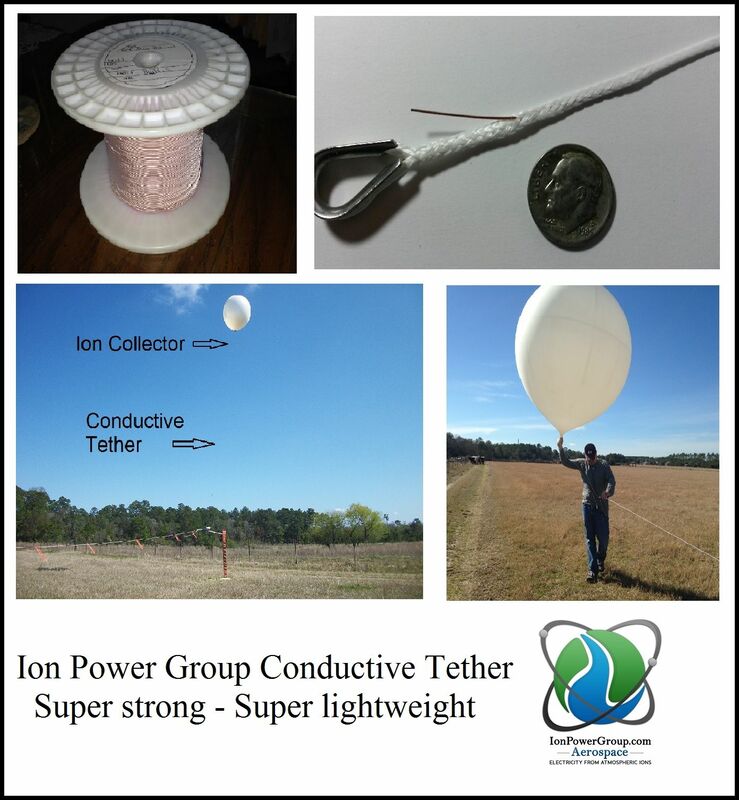 Long duration weather balloons used to provide altitude to ion collectors made of patented carbon/graphite nanofiber to harvest clean electricity day and night from atmospheric ions. The harvested electricity is conveyed down the conductive tether for use on the ground. There are a number of technical reports and peer reviewed journal articles available for viewing on the internet that do an excellent job of characterizing the Earth’s Electric Circuit addressing fair weather (the load of the circuit) as well as perturbed conditions (the generator part). These reports tend to model the Earth’s Fair Weather Circuit as a ‘whole’ averaging the energy produced by thousands of storms over the entire atmosphere. One might conclude from such reports that the atmosphere offers a maximum of 2 pA/m2 of electrical current. Ion Power Group has oftentimes measured significantly greater power during peak ion periods – many watts of harvested power – as great as 1,236 watts (41,200vdc @ 30ma) with ion collectors at 130 feet altitude. What accounts for the very wide discrepancy between theoretical models presented by some reports available on the internet and Ion Power Group’s real-world measurements? Answer: Localized disturbed weather can greatly increase the electrical component of the local atmosphere thereby significantly increasing the level of electricity available to ion harvesting by many orders of magnitude. 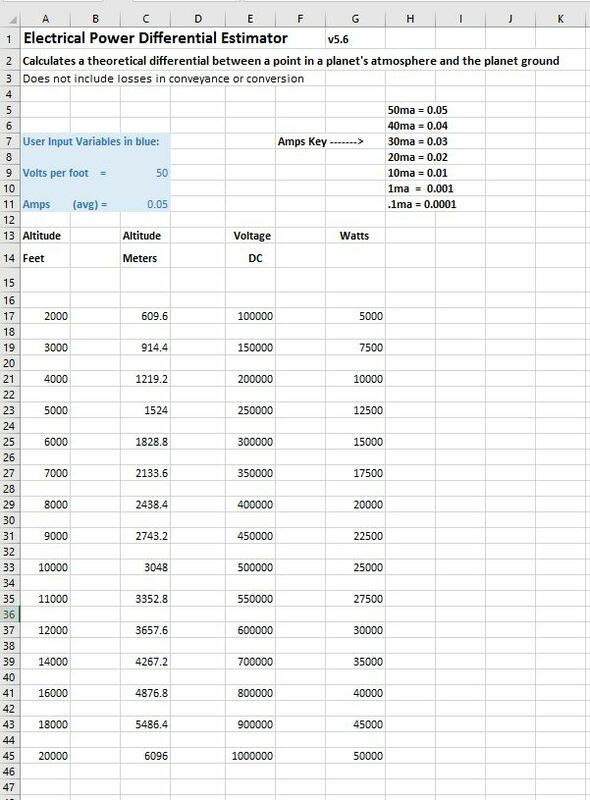 In addition, for estimating the available power, the voltage increase with altitude, air conductivity (e.g. with respect to Radon emissions from the surface), and characteristics of the instrumentation (conductivity of the material, insulation) need to be considered. Because of these complexities, there are hardly any realistic studies or even measurements on the available power locally outside of research conducted by Ion Power Group. Also, the total power in the electric circuit is still an open research question. Most researchers who have published reports about the Fair Weather Circuit intentionally do not focus on the local effects of disturbed weather or Radon gas components. With regard to harvesting electricity from the atmosphere, the absence of modeling the beneficial effect of localized disturbed weather and the effects of Radon gas may lead readers to a conclusion that drastically underestimates the actual electrical power available to be harvested during localized disturbed weather. During real-world testing, Ion Power Group has repeatedly demonstrated that localized disturbed weather greatly increases the electrical power output of ion harvesting technology, many thousands of times greater than 2 pA/m2 when using carbon/graphite nanomaterials in the harvesting process. 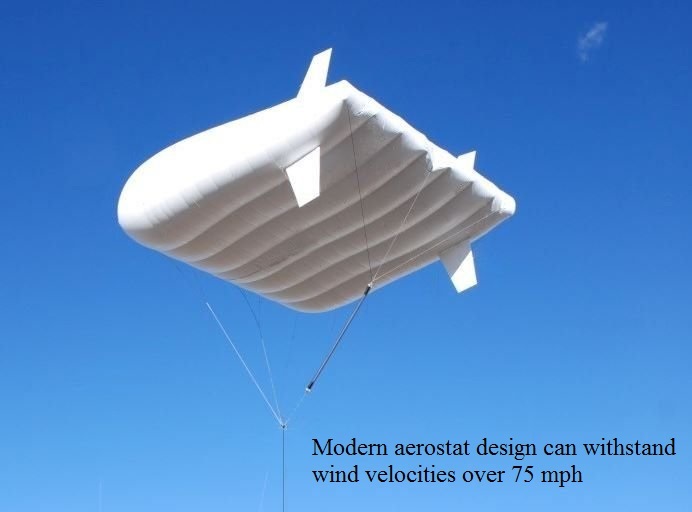 The solution to increasing electrical power is to provide greater altitude to the carbon nanomaterial ion collector, via long duration tethered balloon, thereby increasing the harvested voltage. The electrical conductivity and voltage of the atmosphere increases with altitude by approximately 90-150vdc per meter, therefore, the effective capture-area increases as the Ion Collector is raised higher in altitude (see the above image titled “Ion Collector Capture Radius Increases with Altitude”). Voltage (and sometimes current, depending e.g. on orography) have been observed to increase as an ion collector is raised in altitude. 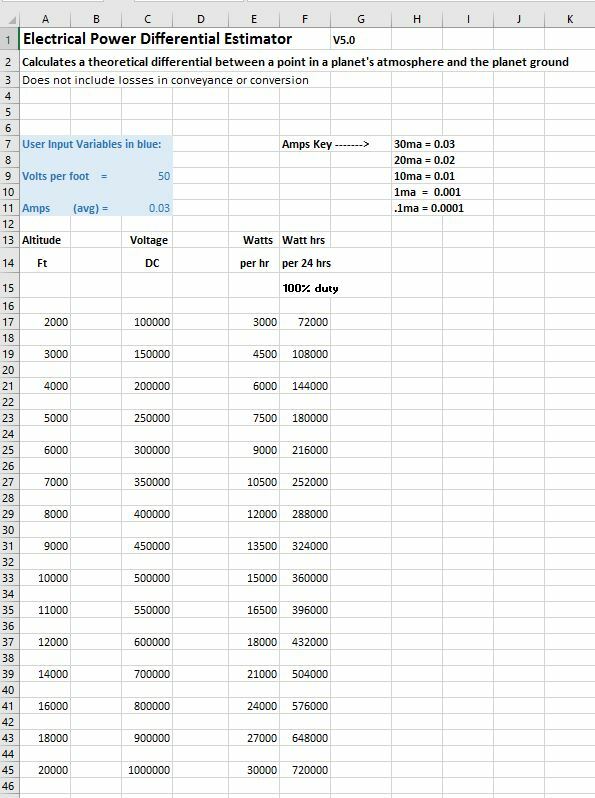 However, assuming a situation in which the atmospheric current stays constant while voltage increases (due to the ion collector being raised to a higher altitude) the result is a net power increase as shown in this formula. Ion Harvesting Technology addresses the problem of low atmospheric current during fair weather conditions by increasing the altitude of ion collectors thereby increasing overall harvested power. It is noteworthy that none of the reports presently available via the internet address the harnessing of atmospheric electricity for power production based on using more efficient carbon nanomaterials such as Graphite and Graphene. Therefore, present reports do not reflect the most recent advancements in technology for harvesting atmospheric electricity. For the reasons stated herein, previous reports available prior to Ion Power Group’s research (while most are very good when read in context) should not be considered an accurate representation of the actual electrical power available to advanced Ion Harvesting Technology because the reports do not model available power based on the complex current flow considering the local atmospheric conductivity, potential distribution, and how utilizing carbon nanomaterials such as Graphite and Graphene alter the process.